According to the Grand Forks Herald, Columbia Road will be widened to six lanes after a vote last week by the city council. ‘Grandstrand said the city should pursue projects that support mixed business and residential development and planning that supports public transportation rather than expect traffic levels to keep going up on business corridors. I voted against 6 lanes but along with everyone else in Grand Forks I believe Columbia needed fixing a long time ago. Columbia road traffic decreased by over 20% from 2000 to 2010. Along with traffic generally in Grand Forks, so people didn’t just pick a different road to drive on. 4 lanes, with intersection upgrades and some use of technology would have been just as effective and 1.1 million dollars cheaper. 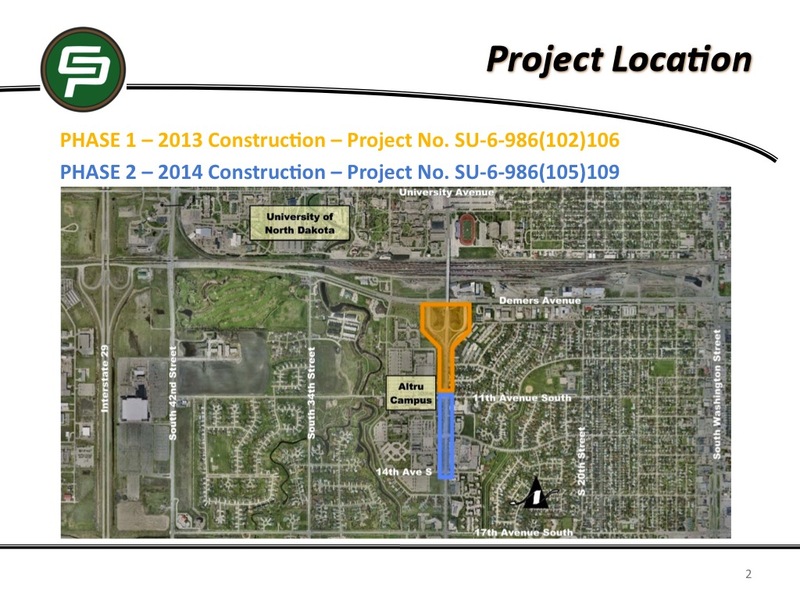 The proposal presented to the city council can be found here (.pptx) and describes two phases of widening to occur: the first from DeMers Avenue to 11th Avenue South in 2013, the second from 11th Avenue South to 14th Avenue South in 2014. The presentation contains a brief description of the current non-motorized facilities along this stretch of Columbia Road, which include a sidewalk to the east and a wider shared-use path to the west. No official discussion has been heard yet of on-street bicycle lanes as part of this project. There are four shared-use/driveway/street intersections between the Columbia Road/DeMers Avenue overpass and 14th street south, a distance of about half a mile. Next Next post: Bike share or bike rental in Grand Forks?